To many fans of American open-wheel racing, the entertaining draw of a street course event weekend is the venue that had been created converting an everyday urban environment into a racetrack, followed by a weekend festival of cultural events (motor and otherwise), and consistency on the timing on an annual basis that adds to the cultural experience. Everyone enjoys something to look forward to on a "same time next year" basis. If the question could be answered through the nature of the racing competition itself, the races held at Texas Motor Speedway, Pocono, and last weekend's small and tight oval race in Newton, Iowa ... the problem would be already solved. The competition could not be any more unpredictable or professional. The 2014 Verizon IndyCar Series is even attracting drivers/rookies that have beat some of the best drivers in European professional racing of F1 and DTM on the way to perfecting their craft. This still does not explain, then, why the attendance for these type of racing venues (outside of the Indy 500) is down from their pinnacle of standing-room only to a mere fraction - ranging from 30% to 60% fall off. That's the sad but true tale of oval tracks in the Verizon IndyCar Series. Once the pillar of the most popular form of motorsports in this country when USAC and CART were on top, ovals have become an endangered species. Other than Indianapolis, it's tough to draw anything resembling a crowd. Texas Motor Speedway, once a stronghold that put 75,000-80,000 people in the stands to watch the Indy Racing League's version of Russian Roulette, has been sliding recently and withered down to 25,000 (at best) last month. After an encouraging return of an estimated 25,000 in 2013 following a 24-year absence, Pocono slumped to maybe 15,000 a couple weeks ago. 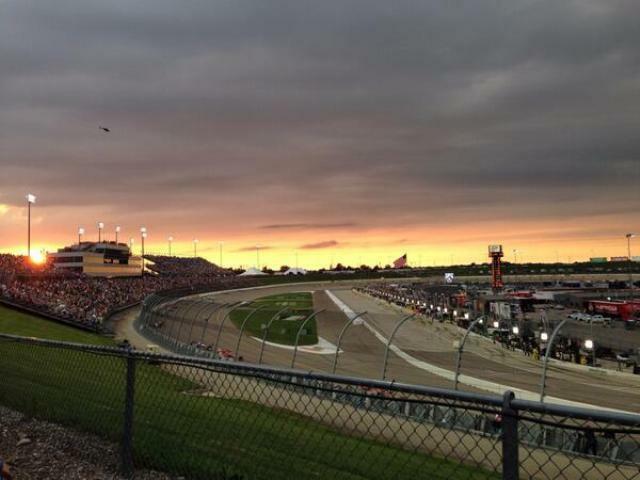 Iowa, which packed the grandstands the first few races for IndyCar, looked about half full last Saturday evening. Fontana, a big ticket back in the late '90s when CART was cooking, went away after embarrassing crowd numbers for its IRL races and has struggled since returning to the schedule three years ago. Ticket sales are supposedly down for next month's finale. Michael Andretti, who stepped in to rescue The Milwaukee Mile, echoes The Captain's thoughts. "We can't ever stop running ovals," said the former CART champion who was a badass on the short ones as well as superspeedways. "It's what sets us apart from everybody else." So what's happened to the culture that thrilled us with A.J., Parnelli, Mario, Ruby, Rutherford, Johncock, Mears and the Unsers? Why doesn't anybody care to attend anymore? What needs to change? First and foremost, the oval-track model for IndyCar isn't working and hasn't for quite some time. Two-day shows are a waste of time and money for teams and promoters alike. Other than Indy, every oval needs to be one day – practice, qualify and race just like the old days and besides saving money, it ramps up the intensity and maybe draws more interest. Pocono's Brandon Igdalsky, for instance, said he had no problem with that concept. Secondly, ovals have got to change their approach. 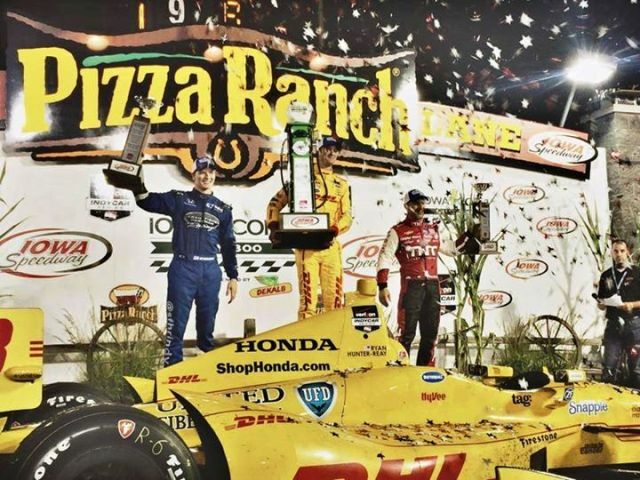 Texas, Pocono and Iowa had nothing on track except the Honda 2-seater and pace car rides prior to their IndyCar races. They've got to start giving the paying customers a lot more for their money – a la street races and road courses. There is always something going on at Long Beach, Detroit, Barber, Mid-Ohio, St. Pete and Toronto, be it Indy Lights, Pro Mazda, USF2000, drifting, TUDOR sports cars, Pirelli World Challenge or Robby Gordon's truck series. You can't start a race at 3 p.m. and give the fans NOTHING beforehand. That's ignorant and arrogant. Scheduling also needs a makeover and some common sense. You can't run Fontana on Labor Day when it's 100 degrees at 6 p.m., Pocono wants off July 4th if it sticks around and Milwaukee needs to be re-instated to the week after the Indianapolis 500. But there is one oval interested in giving IndyCar another shot. Curtis Francois, who owns Gateway Motorsports Park in Madison, Ill., wants to talk to Miles about a date and maybe a potential partnership. And that may be the key and answer to keeping ovals on the schedule. Instead of charging a sanction fee that scares potential tracks away or puts them instantly in the red, IndyCar might need to be partners with the five ovals still in play. Share expenses and promotion and tap into Verizon's wealth of available assets to control your destiny and take the message to the people. A good example: there wasn't ONE LINE about the IndyCar race in last Thursday's Des Moines Register – 48 hours before the green flag (and that paper does a nice job of covering the race). Last April, nothing in Thursday's editions of the Los Angeles Times about the Toyota Grand Prix of Long Beach and only one TV station mentioned the race on Saturday night...with polesitter Ryan Hunter REEAHAY. Fans from Philadelphia swore there was nothing about the Pocono 500 in their market. Watching the non-stop wheel-to-wheel action at Iowa and listening to the excitement in Paul Tracy's voice in the NBCSN booth reinforced how vibrant a short track IndyCar race can be and how vital that little oval in the Corn Belt is to this series. "Before I passed all those cars at the end, it had been a helluva night of racing people all over the track," said 2014 Indy 500 winner RHR following his 10th-to-first miracle Saturday night. "It's fast, it's close and it's what IndyCar racing is all about. We can't ever lose places like this." Improve the formula which services established oval track venues by offering MORE in a shorter period of time for each event capitalizes on what is common to most motor culture events (racing, or otherwise) ... overload. Just as with Autoweek in mid-August held at the mouth of the Salinas Valley in California ... Concours de Elegance, Pebble Beach and the Rolex Motorsports Reunion, Mazda Raceway Laguna Seca ... expand the points of interest of fan draw at the venue to where no one person could take in all of the event. No excuse to NOT attend should be the available prescription to the motor culture fan.